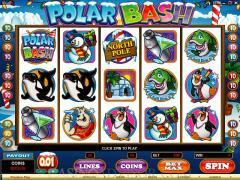 Polar Bash is a video slot game designed by Microgaming, the acknowledged leader in online casino software. This is a five-reel game, with 20 paylines, which carries with it a maximum wager of 200 coins. The game's theme is ice-cold, and takes you to the North Pole and all who inhabit it. 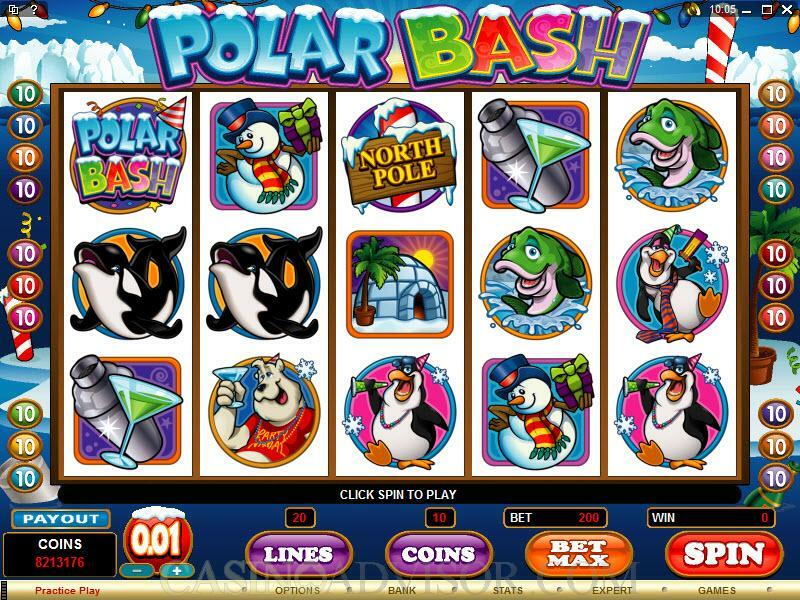 Polar Bash has two scatters for you to take advantage of, as well as two different bonus games, one of which offers free spins. Polar Bash brings two scatter symbols to the table, each of which fulfills different functions: they are the Fish symbol and the North Pole symbol. Winning combinations with either of these symbols are valid when there are at least three of them, and they pay out from left to right on consecutive reels. Each of the scatter symbols activates a different bonus game. When you get three or more Fish symbols, the Ice Fishing Bonus Game is triggered. The Free Spins Bonus Game kicks in when three or more North Pole scatters appear, as mentioned, on consecutive reels, from left to right (which, for the uninitiated, means that it has to start on Reel #1). The Ice Fishing Bonus Game offers a payout of up to 15,000 coins, and involves participants selecting three fishing holes out of fifteen that are displayed. The hope is that there will be high bonus amounts revealed in those fishing holes. The Free Spins Bonus Game gives you 25 free spins, and during this game all of your wins will be doubled. If you once again get three North Pole symbols scattered from left to right on consecutive reels during the Free Spins Game, you will get another twenty-five free spins. 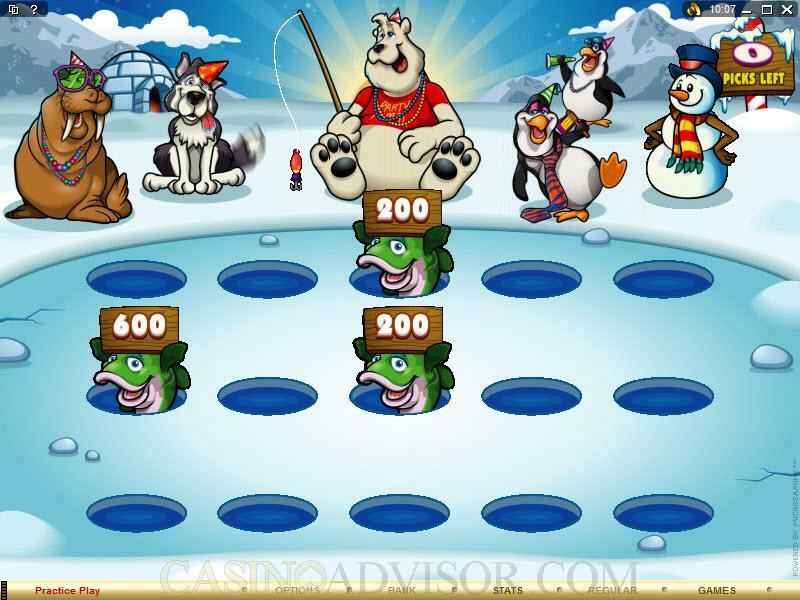 The maximum wager in Polar Bash is 200 coins, and the largest jackpot payout you can get on any of the regular symbols in the game is 12,000 coins, for five Polar Bash symbols in an enabled payline. Interested in reading more detailed information about Polar Bash? If so Click Here for more details.